Gundu is a word popularly used among Hindus as a masculine name. The literal meaning of Gundu (गुण्डु) is "plump, round, circle". Name Gundu is not that popular in the US. Gundu is a somewhat popular name in India. 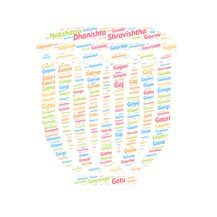 Gundu is used by more than 184 people in India as the name of their children, as per social media profiles found. Name Gundu is short and unique commonly used as nick name. Gundu also has ok meaning attached with it. Gundu is short and easy to pronounce to non Indian, so Gundu might get popular in next few years. R. Gundu Rao was the Chief Minister of Karnataka state from 1980 to 1983. Gundu Hanumantha Rao is a Telugu actor. Gundu Sudharshan is a Telugu comedian and actor.